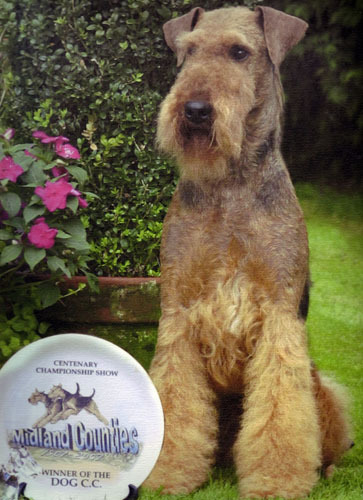 Jack is a Zeta (BIS Eng & Am CH Jokyl Flashback) son, carrying three-quarters English bloodlines in his pedigree. 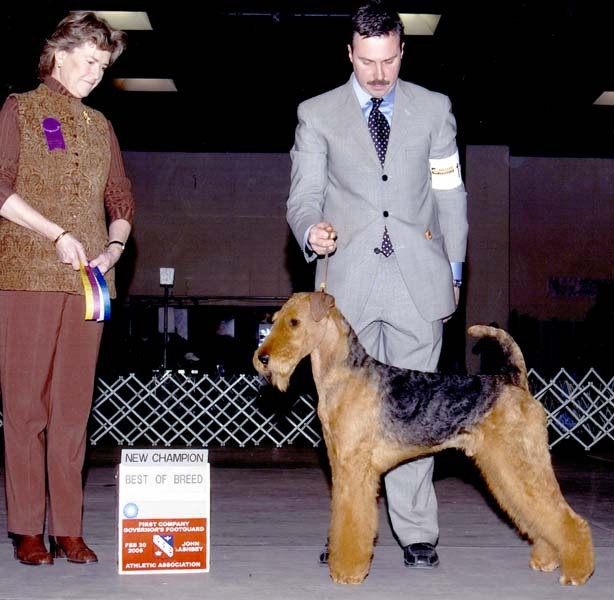 He finished his U.S. Championship easily by only 18 months old and then moved to England and Jokyl Kennels. Jack started his English Show Career in style. Being in England for less than a week, Jack won Best of Breed and earned his first CC (championship certificate) at the Bath Championship show on May 27th. In near record time Jack earned his 2nd and 3rd CC to complete his English Championship. His second CC was won on Sept. 2nd at the City of Birmingham Canine Association Show under Judge Mrs. F A Somerfield and his third CC was won at the Richmond Championship Dog Show on Sept. 11th under Judge Mr. Paul Wilkinson. At both of these shows Jack won Best Dog and Best of Breed and made the cut in the group as well. Top Sire in the UK for 2007 & 2009 and has many champion offspring to his credit.